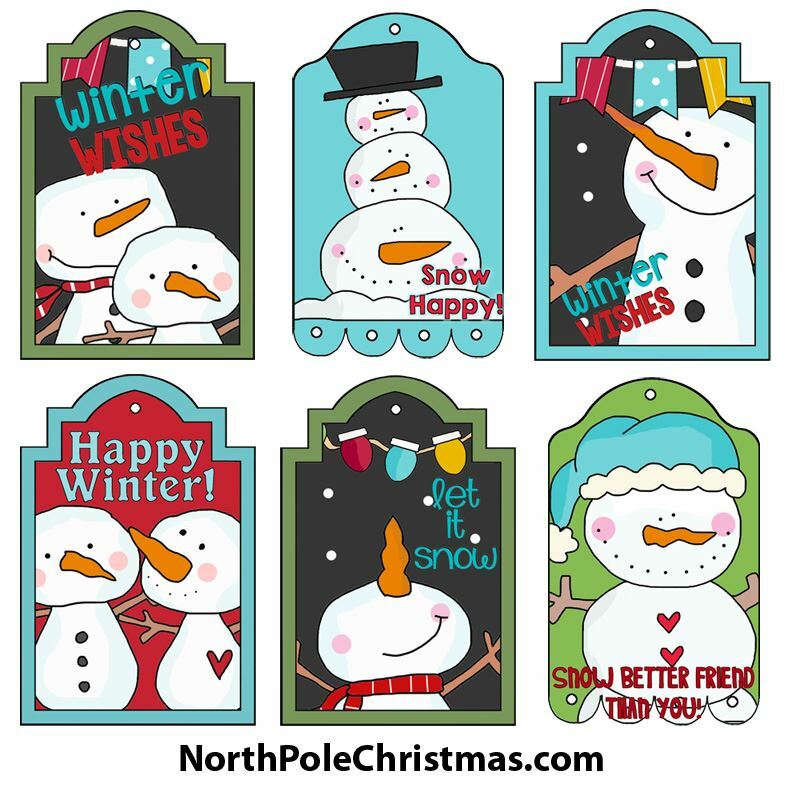 6 Christmas tags with printable snowman tags. Free gift tags, hang tags include snowmen with Christmas sayings. Check out the cute snowmen.